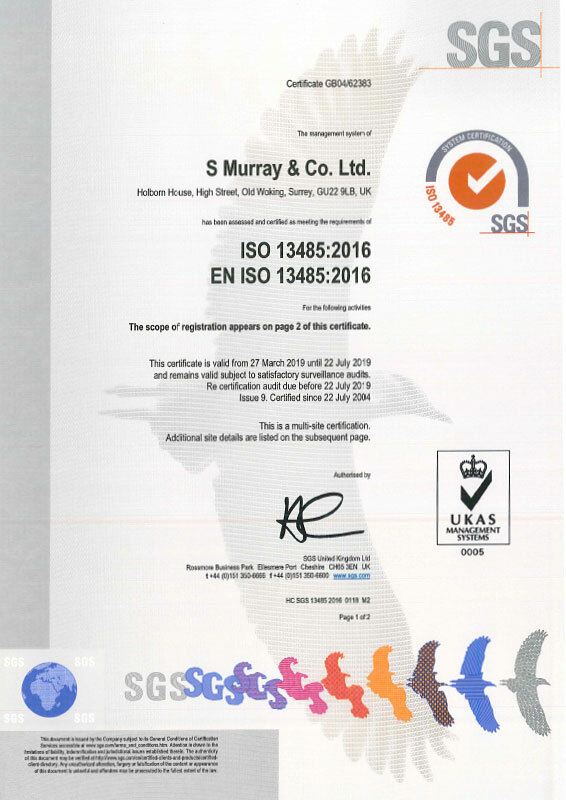 S Murray & Co is totally committed to today’s quality requirements and became one of the first healthcare manufacturers to obtain BS5750 certification in 1991. The company’s registration has since been up-graded to ISO 9001:2008 and ISO 13485:2003 and includes all three divisions in its scope of approval. Only the highest quality raw material is used in our manufacturing processes, with glass in accordance with ISO 4142:2002 and steel in accordance with ISO 7153-1:2001. Copies of all quality certificates are available to download, along with other useful links below. S Murray is an equal opportunities company, with a well established training and development programme following the principles of Investors in People. Many employees have either achieved or are working towards Vocational Qualifications, with awards ranging from Level 2 to Level 5. 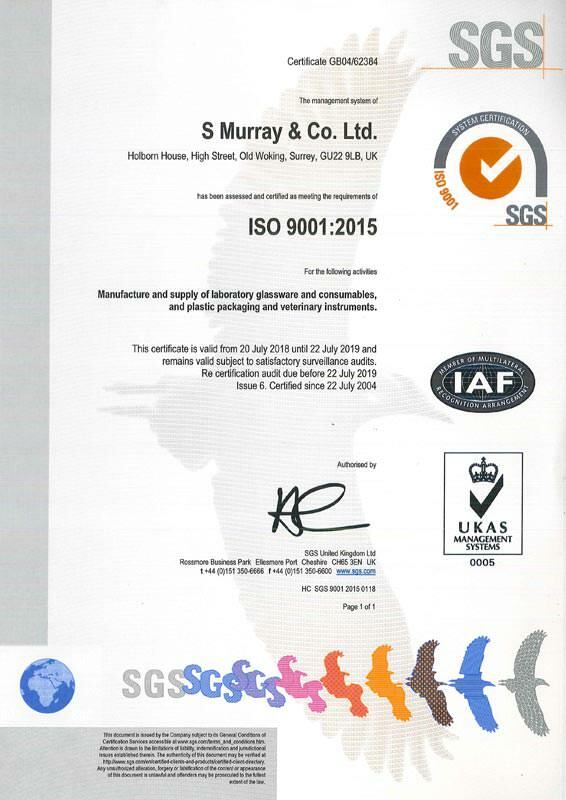 S Murray is also committed to the care of the environment, with the on-going development of a best practice environmental management system in accordance with the principles of ISO 14001:2004. The company is also keen to support local charity organisations in its fundraising activities. Health and Safety procedures are embedded at every level of S Murray’s activities – the company was a founder signatory to the G.L.A.S.S. Charter (Goal: Less Accidents – Safe Sites) sponsored by British Glass and the H.S.E. This culture goes beyond just protecting staff and visitors to the company sites, to providing assurance that all S Murray and SAMCO products are safe when properly used. By following these standards and codes of practice, S Murray is proud to have developed a reputation for reliability, confidence and quality of service and product.